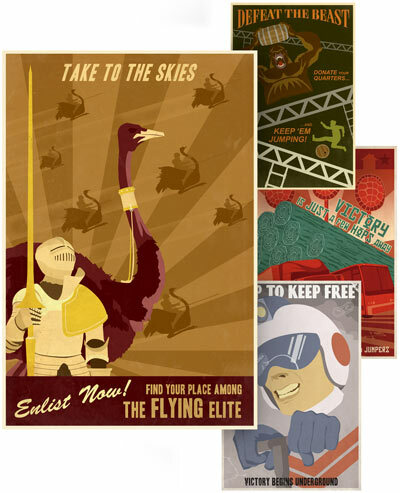 Decorate your gameroom or man cave with these awesome Retro Videogame Propaganda Posters. Drawn propaganda style, these posters call you to action! This set comes with five gorgeous posters by artist, Steven Thomas. The five retro classic video games depicted are Dig Dug, Frogger, Donkey Kong, Joust, and Tron! Game on! 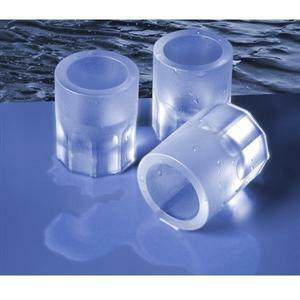 The Cool Shooters Ice Shot Glasses will be a big hit at your next party. Fill the tray with water or juice and freeze. 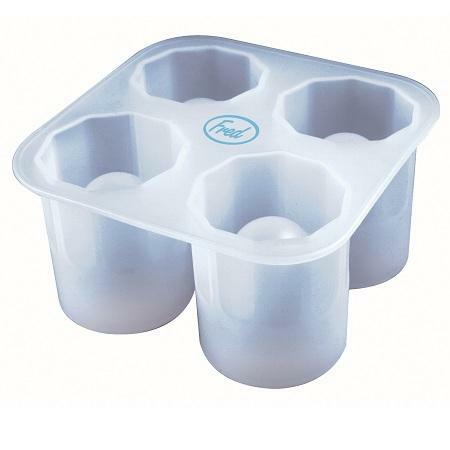 You’ll get four cool frozen ice shot glasses. Now enjoy your favorite shot nice and chilled. 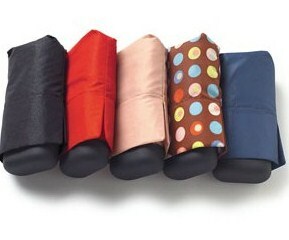 You’ll never be caught in the rain unexpectedly with the Short Stuff Umbrella. This compact and lightweight umbrella is only 6″ long in its carrying case, but opens to a large 42″ arc, and has a comfortable 2¼” rubberized handle and ribs. This pint-sized umbrella is small enough to tuck into a pocket, bag, or briefcase. Great accessory for the everyday commute or long distance travel. Choose from five colors. Guys need a place they can escape to and feel relaxed, comfortable, entertained, and manly! A place where they can watch sports, drink beer, play poker, and eat unhealthy snacks. Every man needs a man cave! 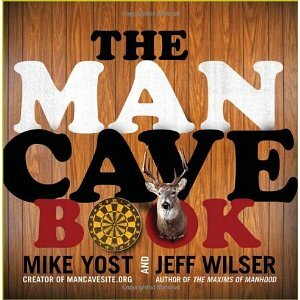 The Man Cave Book features pictures and ideas for creating your own manly refuge. This book gives great insights, examples, images, and details. Serve bread, cheese, fruits, and other snacks on these fun and beautiful Reycled Wine Bottle Platters. Each 100% recycled glass bottle undergoes an 8-hour process to be transformed from a wine bottle to a one-of-a-kind platter. 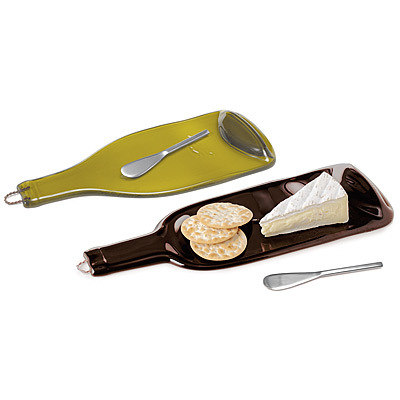 Pick from either chardonnay (yellow color) or bordeaux (brown color), and a spreader is included with each piece. Watch director Rob Reiner’s classic, epic fairytale action romance of The Princess Bride on the Two-Disc Blu-ray/DVD Combo Pack. This timeless story is full of adventure, comedy, romance, unforgettable quotes, and a superb cast. Featuring great acting by Cary Elwes, Robin Wright, Billy Crystal, Carol Kane, Peter Faulk, Fred Savage, and the great Andre the Giant. OK, can you think of an awesomer name for a bottle of hot sauce? Yeah, didn’t think so! 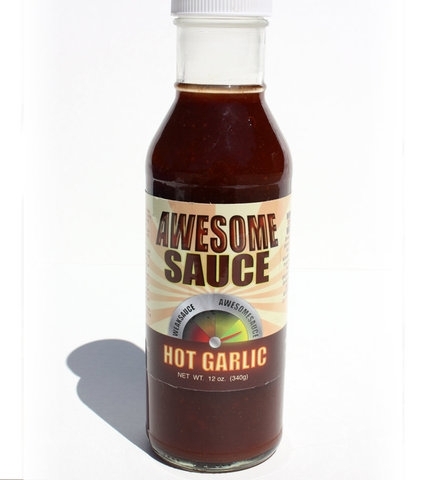 Awesomesauce, as it’s name suggests is an awesome saucy mix of spice and garlic. Spicy, garlic flavor – yep, sounds pretty awesome. Well, it gets better. Proceeds are donated to the “Institute on Higher Awesome Studies” (yes, seriously) to fund new, community-driven awesome individuals and their projects. You may keep your shirts and suits spotless, but how about your shoes? 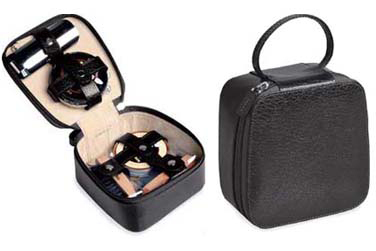 Clean those scuffs and stains off with The Draper Shoe Shine Kit. This kit is made by Rowallan and comes with with brushes, buffers, a shoehorn, and two kinds of polish. The compact and elegant black case is made with Scotland’s finest genuine bonded leather. Now you won’t have any excuse wearing dirty shoes. 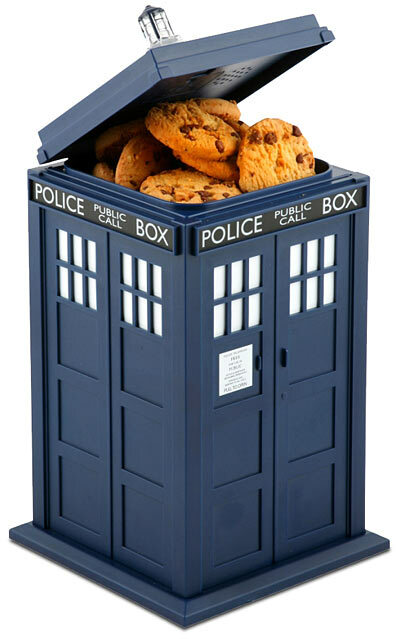 Keep your cookies safe and secure in the Doctor Who Tardis “Talking” Cookie Jar. Shaped like a blue English police booth, the iconic Tardis is a fun container to keep your yummies. The box technically doesn’t “talk,” but makes the cool authentic noises that the Tardis makes on the TV show. If you aren’t a fan of Doctor Who though…, well you should be! 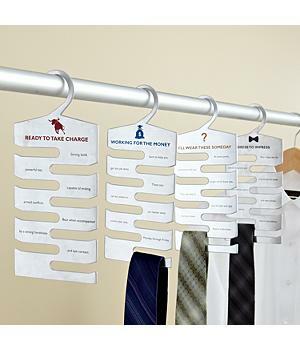 Help your man organize his ties with the Tie Hangers Set. This set comes with four aluminum hangers that hang up to eight ties each (so 32 in all). Each hanger is marked with it’s own special theme. The four different themes are “Dress to Impress,” “Ready to Take Charge,” “Working for the Money,” and “I’ll Wear These Someday.” This set gives humorous and useful organization for all his favorite and not-so-favorite ties. Great for boyfriends, husbands, dads. 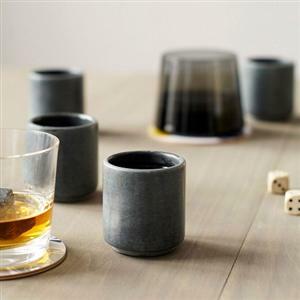 Keep your liquor cool with the Whiskey Stone Shot Glasses. These shot glasses can be put in the freezer so when you want to take a shot of your favorite booze, it’ll be nice and cool. This set comes in a set of four, so enjoy a few shots with 3 buddies. It doesn’t matter what your poison is, whiskey, tequila, vodka, these glasses will give you a nice chilled shot.